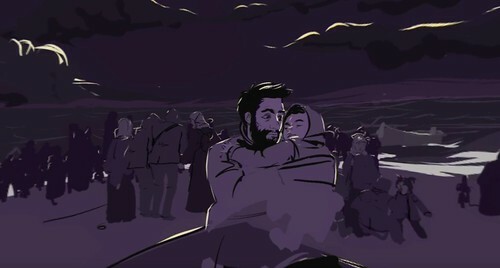 The Guardian recently launched a virtual reality story ‘Sea Prayer: a 360 illustrated film’ written by Khaled Hosseini, a novelist and Goodwill Ambassador for the UN Refugee Agency (UNHCR). 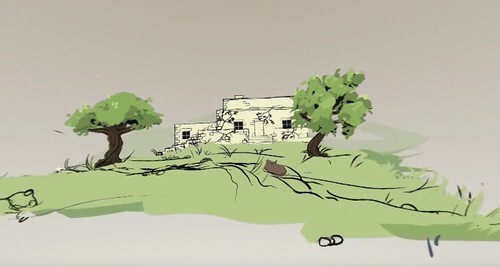 The story, illustrated by VR artist Elizabeth Edwards, was inspired by the story of Alan Kurdi, the three-year-old Syrian refugee who drowned in the Mediterranean Sea in 2015. This is the Guardian’s their sixth foray into VR and represents a continued interest in supporting and producing visual journalism. Read more about the project here. 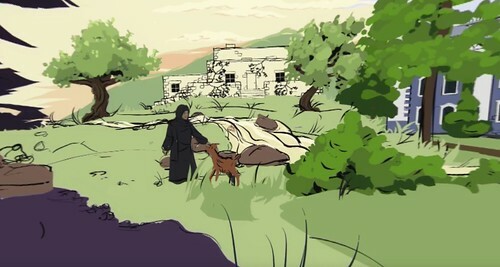 Stills from Sea Prayer by Khaled Hosseini (writer), Adeel Akhtar (narrator), Liz Edwards (illustrator), Francesca Panetta, Nicole Jackson, Shehani Fernando, Mona Mahmood, Anrick Bregman, Andrew Mason, Anetta Jones, Lisa Golden, Peregrine Andrews, So When and Kronos Quartet. 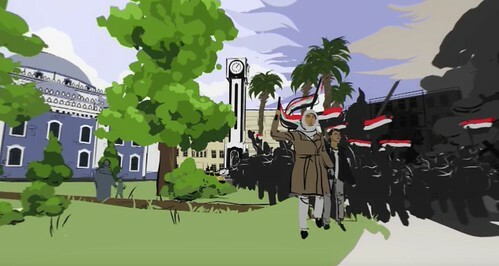 Made in collaboration between The Guardian and UNHCR. 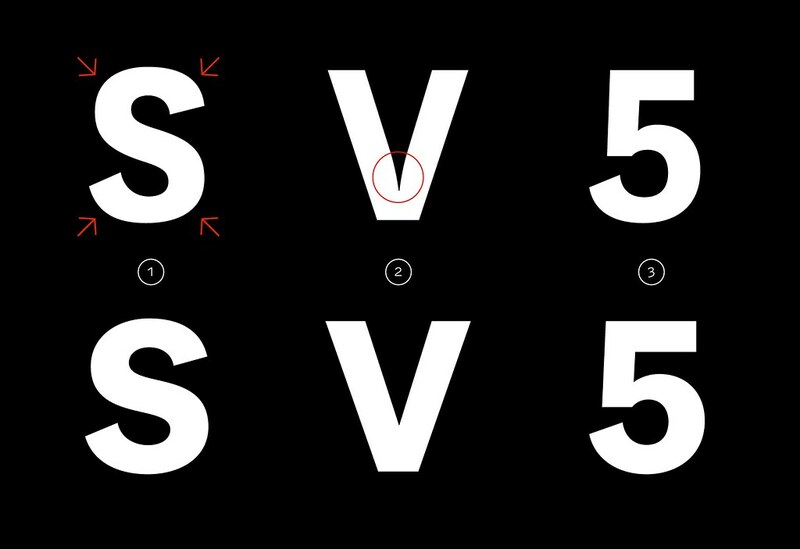 Top: Sample from the Klim Type Foundry’s remastered and redrawn National 2 showing how the outlines and spacing are much more refined (1), the unnecessary ink-traps are eliminated (2) and how certain forms have better proportions and stroke-weight distribution (3). Pentagram have released their brand identity for Poster House, New York’s first cultural institution dedicated to the impact, history and design of posters, due to open at 119 West 23rd Street in autumn 2018. Poster House has a star-studded advisory board including Pentagram partner Paula Scher; the design writer and Eye contributor Steven Heller; and curator and design critic Ellen Lupton, among others. See ‘Reputations: Paula Scher’ in Eye 77, Steven Heller’s ‘Crayon game’ in Eye 93 and Ellen Lupton’s ‘Words made flesh’ in Eye 18. Poster House is having a pop-up party / exhibition called ‘Gone Tomorrow’ tonight, 20 September 2017, before demolition begins on the site. Paula Scher’s brand identity for Poster House. Scher: ‘The words are trimmed along their top or bottom, playing with the edges to suggest the layering of sniped posters or the crop of a full-bleed design.’. 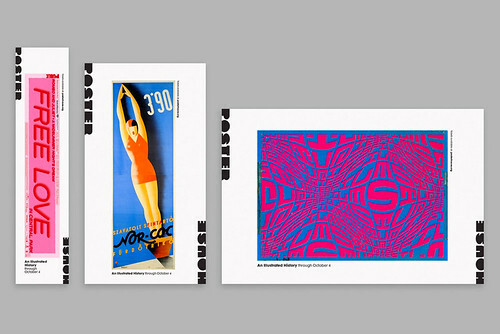 Applications of Scher’s brand identity for Poster House. 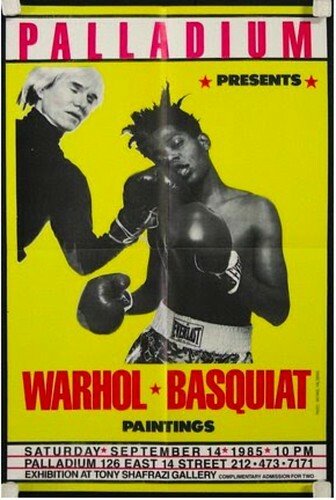 Warhol Basquiat, designed by Tony Shafrazi with photographs by Michael Halsband, 1985. 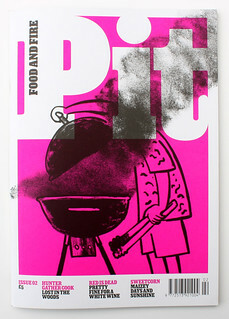 ‘Food and fire’ magazine Pit has launched its second issue with articles about Sussex-based foraging and cooking school Hunter Gather Cook; alternatives to ‘defaulting to that bottle of juicy red’ when lighting the barbecue; and the best ways to cook eel – according to Lap-fai Lee from The Backyard Brummies. Spread from Pit no. 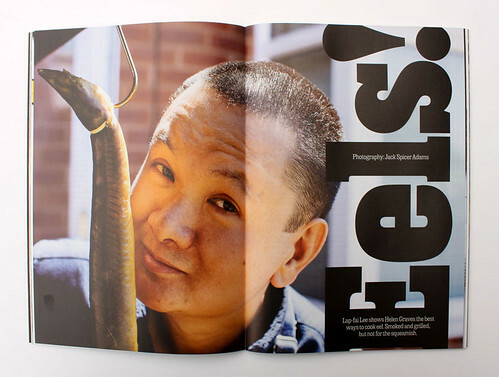 2 showing Lap-fai Lee, photographed by Jack Spicer Adams. Spread and cover for Pit no. 2. Art director: Holly Catford. Editor: Helen Graves. Typography: Sunday Clarendon by Henrik Kubel (A2-Type) and Century Expanded. 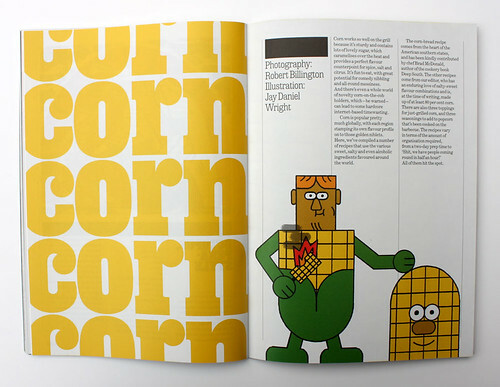 Corn illustration: Jay Daniel Wright. Cover illustration: Mark Long. 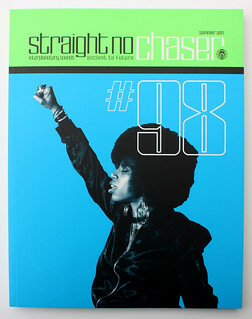 After a ten year haitus, the team behind music magazine Straight No Chaser have launched no. 98. The 128-page issue is rife with articles on subject such as New Jersey-based drummer Jaimeo Brown; the youthful Kiki scene, the subject of a new documentary by Swedish film-maker Sara Jordeno; and the Tate Modern’s exhibition ‘Soul of a Nation: Art in the Age of Black Power’ among many others. 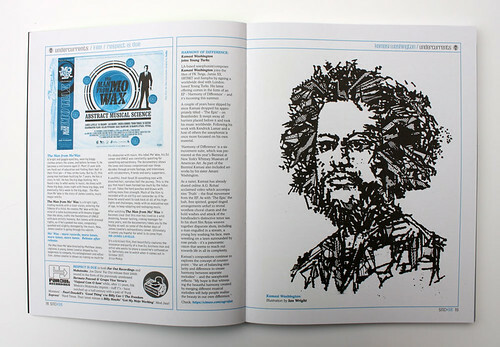 Spread from Straight No Chaser showing an illustration of Kamasi Washington by Ian Wright. 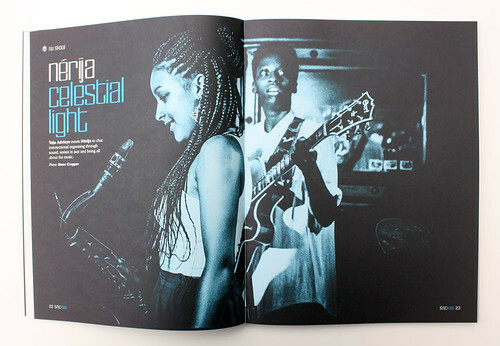 Opening spread for Teju Adeleye’s ‘Nérija: Celestial Light’ looking at ‘intersectional organising through sound, sexism in jazz and being all about the music.’ Photograph: Steve Cropper. Straight No Chaser no. 98, edited and published by Paul Bradshaw. Art direction and design: Ian ‘Swifty’ Swift. See ‘A life in grafix’ in Eye 94. Klim Type Foundry’s National 2 has 64 fonts over 4 widths. National 2 is ‘bigger on the body’ than National at an equal point size.